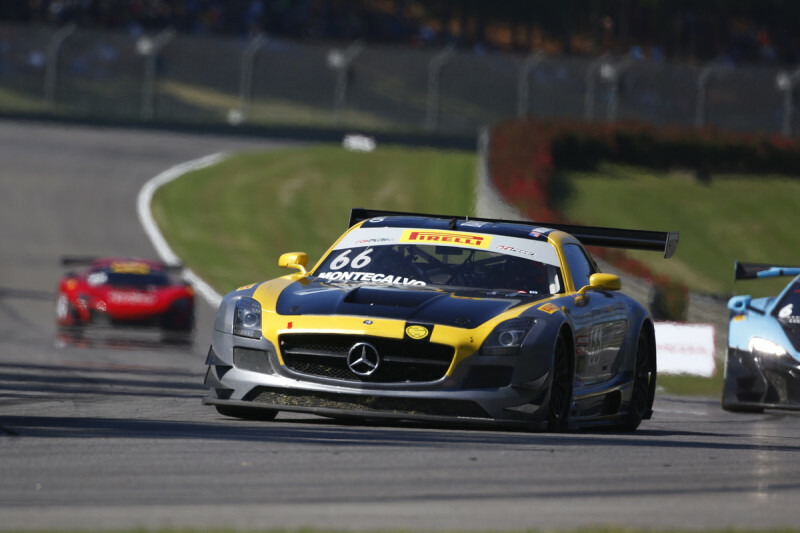 Thursday, April 28, 2016 – Highlands, NJ – It was a scramble to get the #66 Dime Racing Mercedes on track at Barber Motorsports Park for Rounds 6 and 7 of Pirelli World Challenge Championship, but the Dime Racing team was determined to get their machine and driver Frankie Montecalvo on track for the weekend’s events. 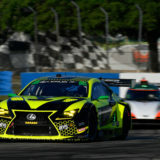 The team worked endlessly after an incident at Long Beach damaged the rear end of the car, and were forced to miss the first test days and practices at the Birmingham, AL circuit. “The team worked so hard to get the car back together for qualifying. 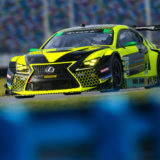 Hats off to the entire crew because after Long Beach, we weren’t sure that we would even make it to Barber,” explained Montecalvo, 25, of Highlands, NJ. 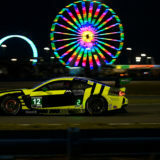 Montecalvo missed the first two practice rounds on Thursday, which saw rainy and treacherous conditions, but was able to qualify the car on Saturday morning before the first race. Montecalvo was able to set the fastest lap time in class on Saturday and started Race #2 from the pole position on Sunday. 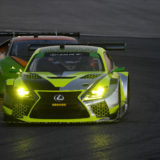 Rounds 8 and 9 of the Pirelli World Challenge Championship will be held on May 19-22 north of the border at Canadian Tire Motorsports Park in Bowmanville, Ontario. 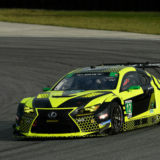 Canadian Tire Motorsports Park is one of Montecalvo’s favorite tracks on the Pirelli World Challenge calendar, and he hopes to return to the podium there in three weeks time. Montecalvo will have a very busy weekend as his sister, Nicole, is getting married on Saturday of the event weekend so he will have a very tight schedule of flights to be able to make it to and from the nuptials and back to the track in time to race!